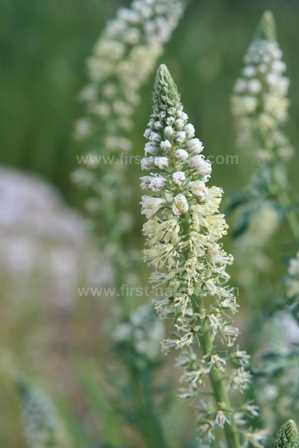 White Mignonette is an impressive perennial plant that occurs throughout the Mediterranean Region although it is more common in the western part. 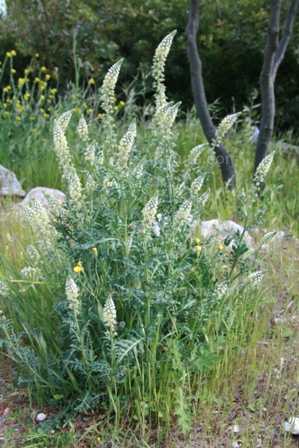 Reseda alba often grows in dry, rocky places or on waste ground. It flowers from January to May and is as attractive in bud, because of the symetrical appearance of its infloresence, as it is when the flowers open. The flowers are a creamy-white colour and rather 'frothy' in appearance. 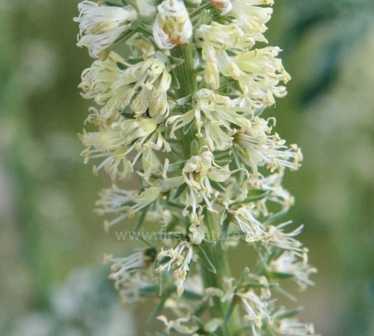 Resda alba grows on roadsides and other disturbed waste ground, but it also appears in dry, rocky ground. The specimens above were photographed in the Gargano Peninsula, close to Monte Sant'Angelo region of Italy in mid-April.